Cambridge, MA (July 3, 2018) – Police in Cambridge, Massachusetts responded to a motor vehicle crash involving a child pedestrian on Monday. Officers were called to Rindge Avenue just before 5:00 pm in reference to a car vs. pedestrian crash. Once there, they discovered that a child had been struck by a car. Pro EMS also responded to the crash to treat the injured child. The child was transported to a hospital for evaluation. The injuries are not believed to be serious. Police are investigating the crash. They do not suspect that any foul play was involved, however, there is no final word on whether the driver will be charged for hitting the child. No further information about the crash is currently available. 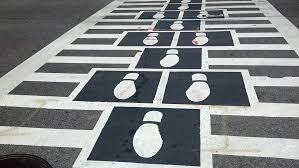 Pedestrian accidents are extremely common in our state. The pedestrian involved in the crash is not always an adult, however. Sometimes children are struck by vehicles, especially in residential areas. When passing through places where children are at play, a driver has a burden to drive safely and defensively at all times and to pay attention to their surroundings. Children are especially protected by negligence law as they are not held to the same standard as an adult. A child does not have the same capacity to appreciate danger and risk and therefore they are given more leeway when it comes to personal injury cases. This is especially true of very young children. In this case, it is unknown whether the driver has legal responsibility for the crash. Authorities will thoroughly investigate all angles of the accident in an effort to determine whether the driver could have avoided hitting the child. They will rely on witness observations, photographs and other factors in deciding a cause. Until that time, it is too early to say where the blame should lie. If you or a loved one have suffered injuries in a pedestrian accident, we can help. At the Law Office of Jeffrey S. Glassman we deal with pedestrian accidents involving people of all ages and we know how to handle these cases to ensure that you receive the recovery you deserve. To schedule your free consultation with one of our attorneys, please call us today at 617-367-2900.